Most railfans are familiar with the Erie's entrance into Buffalo from the southeast, via Hornell and the Portageville Bridge, but the Erie also had an entrance from the southwest. 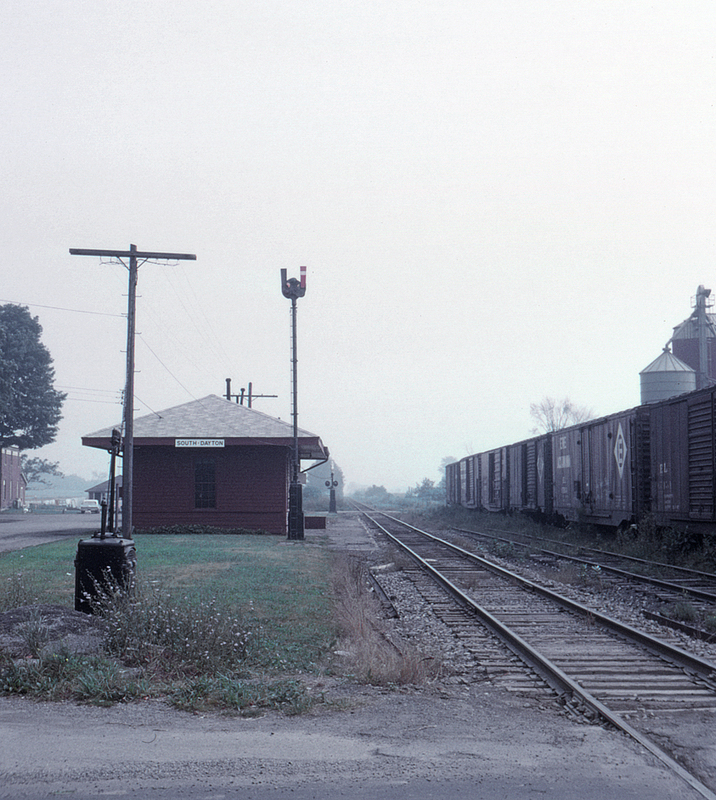 Leaving the main line at Waterboro, New York (just east of Jamestown), it continued in a generally northeast direction through towns such as South Dayton, Gowanda and Hamburg before accessing Buffalo Creek trackage in Blasdell which it used to reach the Erie's East Buffalo Yard (later Bison). Here at South Dayton we see a typical Erie station, by now painted in Erie Lackawanna red, complete with train order signal. Today (2018) this trackage remains in use by the New York & Lake Erie south of Gowanda and the Buffalo Southern from there on north. This view is northeast from the New York State Route 322 (Pine Street) grade crossing.